After a brief intermission, the OnePlus 6 is back on the rumor mill again. The device will launch later this month and we’ve got a good idea of what to expect from it. This year, OnePlus will launch its flagship slightly earlIer than it launched the OnePlus 5. In addition, the smartphone will ensure that it’s got nearly every feature present on 2018’s high-end mobile offerings. 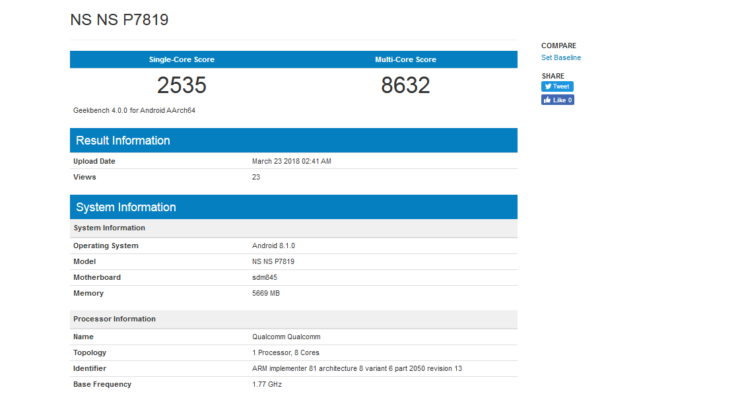 Now, we’ve got a GeekBench leak for the OnePlus 6. Head over below for the details. 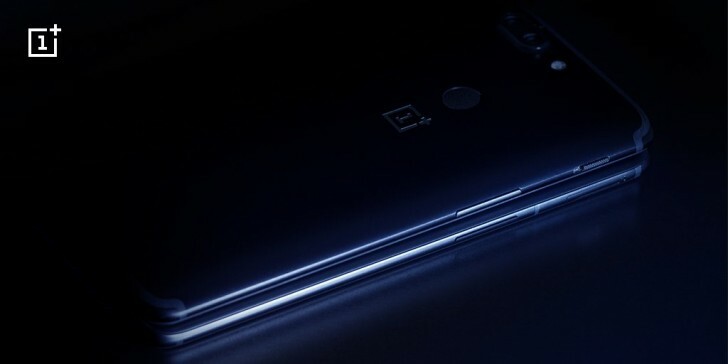 Before we get to the details, it’s relevant to note that performance specifications for the OnePlus 6 were confirmed earlier this year by none other than the company CEO Pete Lau. Lau has confirmed that the smartphone will run Qualcomm’s Snapdragon 845 and sport a variant with 256GB internal storage alongside 8GB RAM. This will undoubtedly prove sufficient for even the most demanding of users and make up for a crucial win in a segment ignored by Samsung with the Galaxy S9 and Galaxy S9+. Today’s OnePlus 6 GeekBench listing shows the smartphone running on an approximate 8GB RAM, so performance gains over Samsung’s Galaxy S9 lineup are normal. 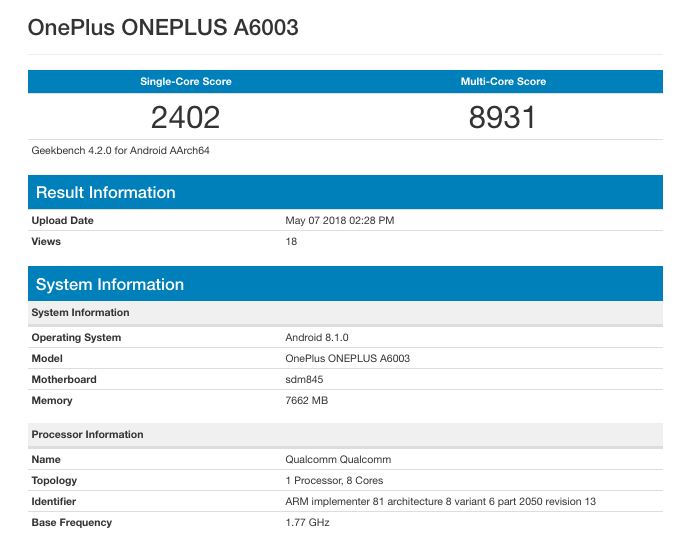 The OnePlus A6003 is shown running Qualcomm’s Snapdragon 845 with eight cores and 7662MB of RAM. There’s a high chance that the results here are doctored to drive up the hype, so don’t take them too seriously. However, before you get too skeptical, do take a look at the second image above. It is one of the first alleged GeekBench leaks for the OnePlus 6 and displays the smartphone with an approximate 6GB of RAM. Interestingly, while multi-core scores go down with RAM, single core results go up! Perhaps the Snapdragon 845 can’t handle more than a specific amount of loads at the same time, or the processor might be optimized for certain performance levels to suit battery life. At the features end, we’ll get a display cutout and a dual camera setup. OnePlus will also relocate the smartphone’s alert slider to its right, and improve the device’s glass build. The device just might also get a heart rate sensor and waterproofing. Overall, the OnePlus 6 is shaping up to be a nice gadget. Let’s hope it lives up to the hype. Thoughts? Let us know what you think in the comments section below and stay tuned. We’ll keep you updated on the latest.